Adrian was appointed as the Head of School at the RFS in August 2017. Adrian graduated from the University of Melbourne with a Bachelor of Science (Education), received his Bachelor of Theology from the Melbourne College of Divinity, his Master of Arts in Philosophy/Theology and his Master of Education in Educational Leadership from the Australian Catholic University. Adrian brings over 30 years of academic experience to the RFS. He is the former Head of several international schools and has extensive training in IB education, and is particularly interested in teacher evaluation processes and methods for improving teacher training. Before joining RFS, Adrian had served as an IBDP Visiting Team Member, has extensive experience in IBDP/MYP/PYP School Authorization, as well as Visiting Team Member and Leader with the Council of International Schools (CIS). In looking for a new school to serve, Adrian was attracted to the rich history of RFS, its unique and important location in the world. In particular he was drawn to the Quaker values of peace, justice and integrity which shape the kind and quality of the education which the school offers. Frieda was appointed as Lower School Principal in 2016. She is a graduate of the RFS (1983) and a mother of three sons, two of which are RFS alumni and the youngest is attending the RFS. She holds an MA in Peace Education from Notre Dame University in Indiana, where she worked as a teacher assistant and a research assistant for one year. She also worked as case manager with Madison Center – USA. She earned her BA in English Literature from Birzeit University and started her career as an English teacher in 1988 at Ramallah’s Al-Ahliyyeh College, and was later appointed as their first Deputy Principal. She served as the director of the YWCA Vocational Training Center in Jerusalem from 2001 to 2002. She has worked as project coordinator for a local NGO (WATC) on women empowerment. In 2005, she became the Deputy Principal of the Lower School. In 2010, she was assigned as Acting Principal for one year and returned to her previous position until she was reappointed as Interim Principal in 2015. Frieda attended and conducted various local and international training workshops. Riyam was appointed as Upper School Principal in 2015. She is a graduate of the RFS (1996) and a mother of twins attending the RFS. She earned her B.S. in Chemistry from Earlham College in Indiana and obtained her Ph.D. in Organic Chemistry from the University of Tennessee in Knoxville in 2008. Riyam spent two years conducting pharmaceutical research before joining Al-Quds Bard College for Liberal Arts at Al Quds University in Jerusalem as a founding faculty member. For six years, Riyam played an instrumental role addressing many challenges of a nascent institution and her work included curriculum development and accreditation, student recruitment, parent-college relations, college branding, faculty development and recruitment. Most recently Riyam served as the Content Editor of This Week in Palestine, a popular printed and online monthly magazine focusing on Palestinian culture. Adele was appointed as Deputy Principal of the Lower School in 2016. She is a mother of three daughters, one of whom has graduated from the RFS and the younger two are RFS students. Adele was a counselor at the Lower School during the period of 2001-2016. In 2007, when the Problem Solving Program was launched at the Lower School, Adele was in charge of training all Homeroom teachers and students about the program as an integral part of RFS’ Quaker Values. Huda was appointed as Middle School Deputy Principal in 2017. She is the mother of two RFS alumni. 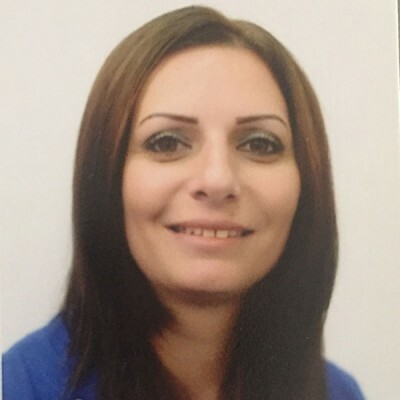 Huda has a BA in Chemistry from Birzeit University, and an MA in Educational Management from the same institution. Following her studies, she worked for two years in Birzeit University as a teaching and research assistant in the Chemistry Department. Between 1994 and 2005, she worked as a Science & Chemistry teacher at the Ramallah Greek Catholic School. She joined the RFS in 2005, starting as an MYP Science & Chemistry teacher, and later as a DP Chemistry teacher. She was the Head for the Science Department at the Upper School during the period of 2009-2013, and was appointed as Middle School Assistant Principal in 2016 as part of the inauguration of the new Middle School Building. Mark Bauman was appointed as Interim Deputy Principal of the High School in 2018. Mark comes originally from the USA and completed a Bachelor of Arts in Psychology and Biology from William Jewell College and a Master of Arts in Comparative Religion from Trinity University, San Antonio. He then earned his Doctor of Philosophy in Education Administration from the University of Maryland. Mark comes to RFS with extensive leadership experience having recently held the Principal position at the American Baccalaureate School of Kuwait and before that leadership positions in schools in Princeton, Wilton, Stamford, Pennsylvania and has taught at a number of schools including Sidwell Friends School in Washington. Mark has worked with students at all age levels and has extensive experience with elementary, middle and high school students. 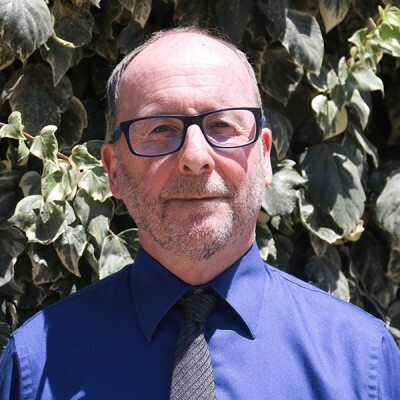 Mark has been a Quaker for over 20 years and has been particularly drawn to service at Ramallah Friends School. He has two daughters who have graduated from Northeastern University and Simmons College. One works for MIT in technology innovation and in social work following the completion of her Masters in Social Work from Boston College. Mark says that coming to RFS is the greatest opportunity of his professional life. He says he is foremost an educator, but educating young people in a Quaker context in a country ripe for growth will be an experience that far surpasses any other life events he has encountered. Nafez was appointed as Finance Manager at RFS in November 2017. Nafez received a BSc Degree in Finance and Banking in 1995 and received his MBA in 1998. Nafez brings more than 20 years of experience in fields of finance, accounting and management to the RFS. He has managed finances with startup and global multi-million dollar companies both in Palestine and abroad. Over the last decade he has served as Senior Financial Accountant, Interim Programs Manager, Senior Budget Analyst, and Finance and Administrative Manager in different companies in Canada. And he had earlier worked as Chief Financial Officer CFO and HR Director, Financial Analysis and Accounting Manager among other posts.